Everyone I know is always trying to find good tips to get more done at work. Even though we constantly seek out ways to be efficient, for many it's very much like a New Year's resolution in that it's doomed to fail because we can't stick with it. 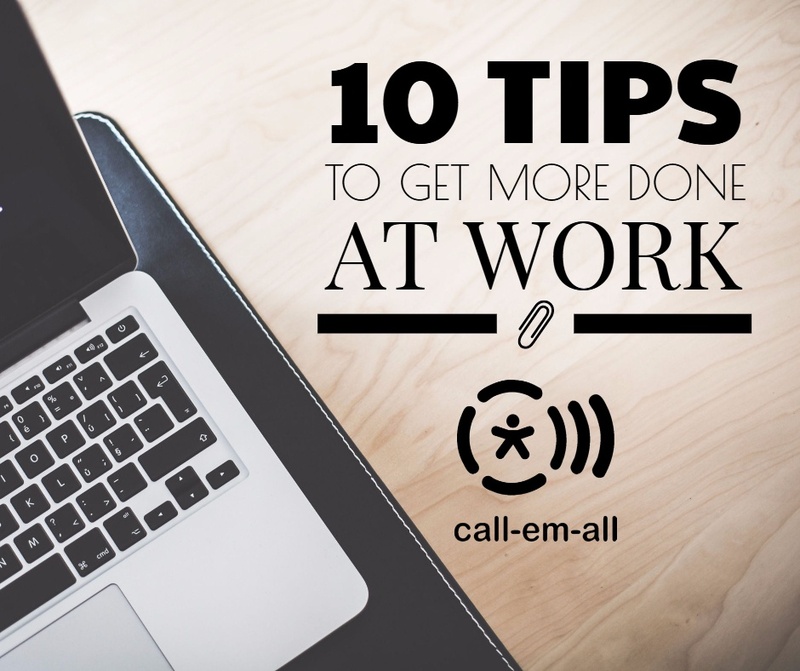 Here are some examples of easy ways to be more productive at work. Maybe they don't fit into your personal strategy, but learning from failures is a great way to figure out your own productivity style. I use a Chrome browser app called Momentum. Not only is it visually stunning, but it can be personalized and has basic info like weather, quote-of-the-day, custom links, and daily focus. Best of all, a simple to-do list is included. Each time you open your browser, Momentum is there to remind you of what is going on. Our customers know that automating communication to large groups of people can give you lots of time back in your day. There are a ton of really unique tools that let even the novice tech enthusiast embrace automation. IFTTT is a great service that lets you connect existing services and apps. 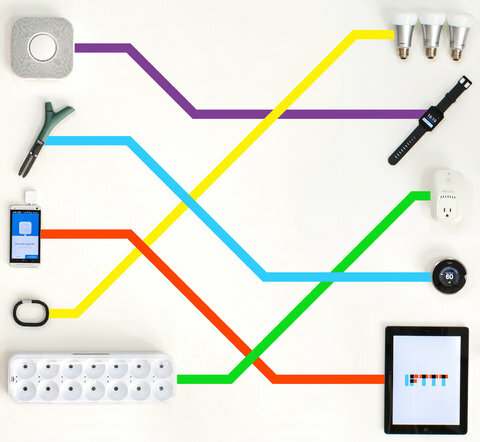 From automating backups to delivering reports, IFTTT has it all. If you added up all of the time that you spend talking about things that aren't helping you be productive you would get back a lot of time. Plus, your co-workers will find you to be more understanding of them. For me, this is one tip that really makes a difference. Resist the urge to respond immediately as it simply distracts you from your current focus. With today's tech, you can quickly glance at notifications to get a preview of the message and unless it is really urgent, it can wait. For years now I've used this to make sure I get work done. I'll block an hour on my calendar for a "work session" and retreat to an isolated meeting room with my headphones. I close my email and chat, leave my phone in my pocket, and put my head down and focus. I get more done in that hour than most of the day in some cases. This one has multiple benefits like lower stress levels and shorter commutes - but the real value is in being at the office when everyone else isn't. Simply put, the fewer co-workers around you means less distractions and interruptions. Arrive an hour before everyone gets in, or stay an hour later. That being said, don't do both - wearing yourself out isn't productive. I'm often guilty of putting my head down and plowing through tasks. It's likely something to do with growing up in a small farm town and having to do a lot of hard work as a kid. While it might be tempting to "just do it yourself", these tasks often repeat themselves and identifying which ones take longer, and more importantly - why they take longer, will result in a lot more productivity in the long run. When you feel stuck, are in a rut, or sluggish - you need to take a break. It has become way too easy to skip lunch, eat at our desk, or not take breaks. This is a huge mistake. The science behind taking breaks is pretty clear, you need to get out of the office and fully shut off. You can't remain focused unless you have clearly defined priorities. Most people think they know what needs to be done on a daily basis, but taking the time at the start of each day to think through your tasks and develop a strategy can make all the difference in the world. How long will this take? How important is that? Ask yourself questions, and write down your goals. Product Managers and Engineers often hold "retrospectives" after a sprint is completed as part of an agile methodology. This is a good process that everyone should practice whether individually or as a team. At the end of each day or week, sit down and review how things went. Did you accomplish what you wanted? What got in your way? What could you do to improve next time? These questions will ensure you stay on a path to productivity self-improvement. In conclusion, I don't think there is a silver bullet for productivity. Having worked in both large and small companies, and having worked from a home office - I've been forced to figure out what works for me. I hope these tips help you and would love to hear what tips or tools work for you.